The festive season is the true test of any shoe. 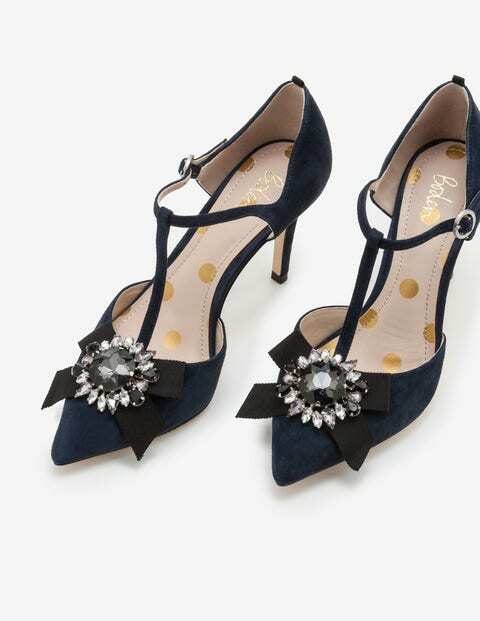 Luxurious suede makes these strappy T-bar heels party-ready, and we've added an embellished grosgrain bow and a dainty round buckle to ramp up the glamour. With a mid-height heel, they're comfortable enough to do as many laps of the room as you need – after all, you need to make sure everyone gets to see them.